North Oconee standout Kumar Rocker was named the 2018 Georgia Gatorade Player of the Year. 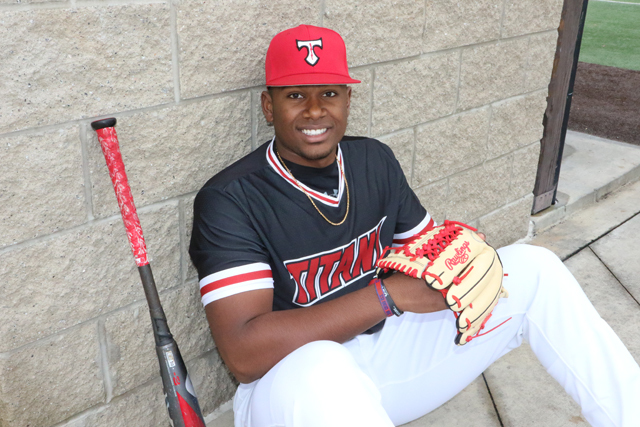 North Oconee High School standout Kumar Rocker has been named the Georgia Gatorade Player of the Year after an impressive season in which he helped North Oconee to the second round of the Georgia High School Association Class 4A playoffs. The 6-foot-5, 250-pound All-American finished with a 6-2 record and a 1.17 earned run average on the mound. He struck out 90 and allowed just 19 hits and 13 walks in 46 innings. The senior was just as dangerous on offense, batting .351 and finishing with five homers and 27 RBIs. One of the nation's top prospects, Rocker was selected to the Under Armour All-America Game and the Perfect Game All-American Classic in 2017. According to a press release, the award recognizes not only outstanding athletic excellence but also high standards of academic achievement and exemplary character demonstrated on and off the field. Now a finalist for the prestigious Gatorade National Baseball Player of the Year, Rocker joins an elite alumni association of past state award-winners in 12 sports, including Derek Jeter (1991-92, Kalamazoo High School, Mich.), Jon Lester (2001-02, Bellarmine Preparatory School, Wash.), David Price (2003-04, Blackman High School, Tenn.), Clayton Kershaw (2005-06, Highland Park High School, Texas), Rick Porcello (2006-2007, Seaton Hall Preparatory School, N.J.) and Kris Bryant (2009-10, Bonanza High School, Nev.). Rocker joins recent Georgia Gatorade winners Drew Waters of Etowah (2017), Joshua Lowe of Pope (2016), Daz Cameron of Eagles Landing Christian (2015), Michael Chavis of Sprayberry (2014), Clint Frazier of Loganville (2013) and Byron Buxton of Appling County (2012).